The HELOS-G Case Kit is a top shelf solution designed exlusively for essential oil, waxy material, or other concentrates at home or on the go. 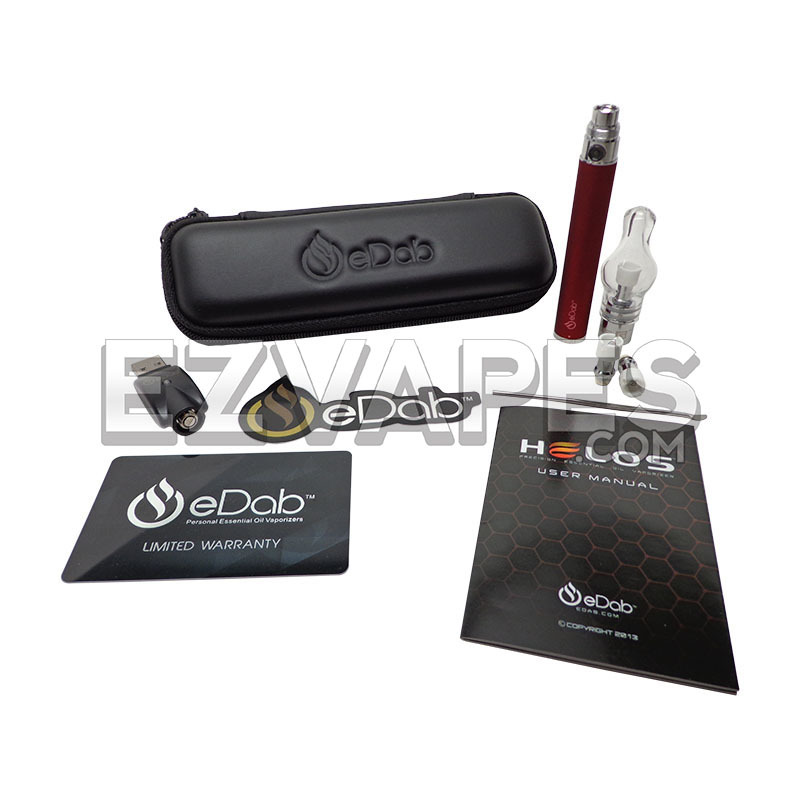 This kit has everything you need to get globes full of dense vapor and even includes a premium eDab travel case to keep everything neat and organized. 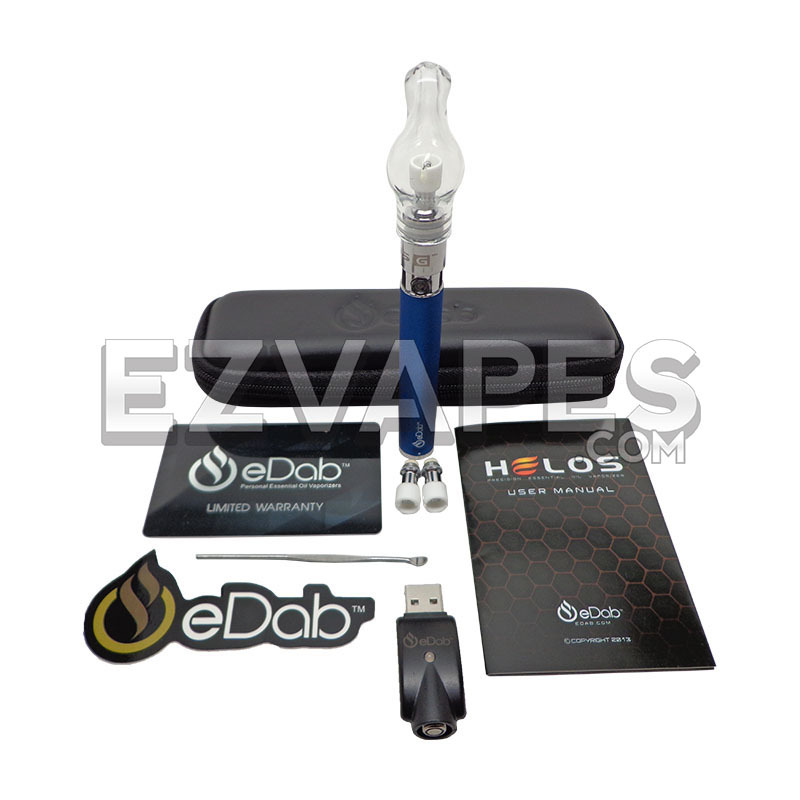 Starting at the top, the HELOS-G uses a thick borosilicate glass globe to collect and deliver your vapor. By eliminating the need for a separate mouthpiece the HELOS-G globe reduces the materials your vapor comes in contact with. Pressing the button will instantly erupt vapor into the globe where you can watch it collect and expand before traveling through the all-glass mouthpiece, cooling and diffusing the vapor for a fresh, smooth experience. The replaceable heating coils feature a wide ceramic dish so that your material can be loaded quickly and easily. 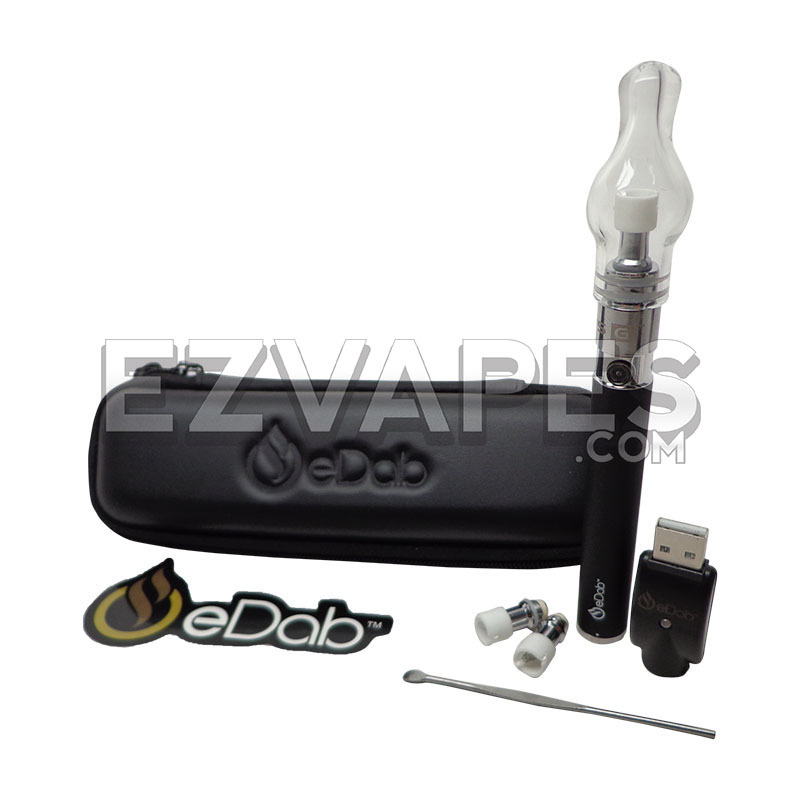 The kit comes with your choice of eNail, eFunnel, or the newly released Hybrid Coils. Either coil works very well with any meltable material, so whichever you choose you are covered. We recommend the eNail coils for concentrated essential oils and the eFunnel for use with more waxy or solid concentrates. The Hybrid coil offers the best of both worlds by combining the advantages of the eFunnel and eNail. 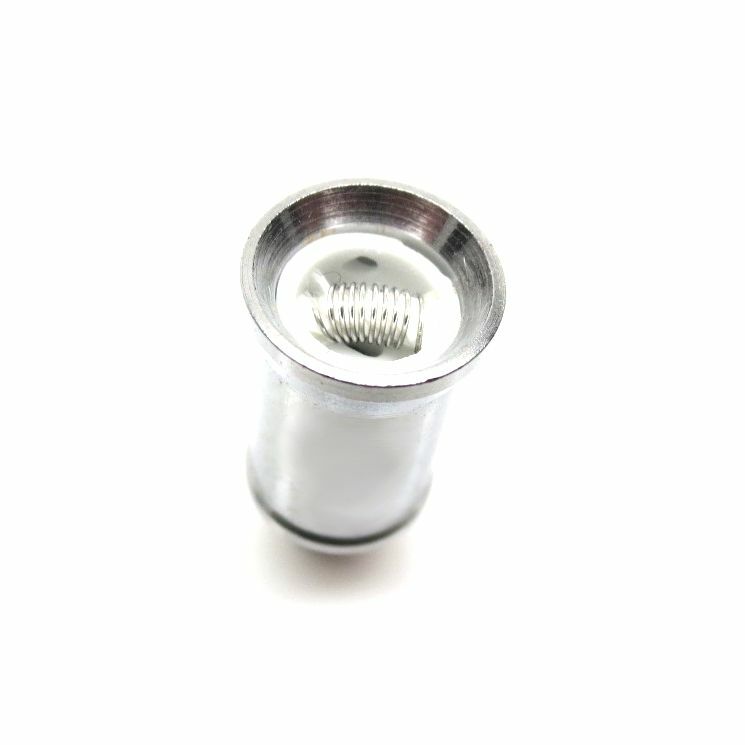 These cutting edge coils provide an easy to load funnel combined with the a double wide kanthal heating element located on the bottom of the dish, but close to the top for max efficiency and ease of use. 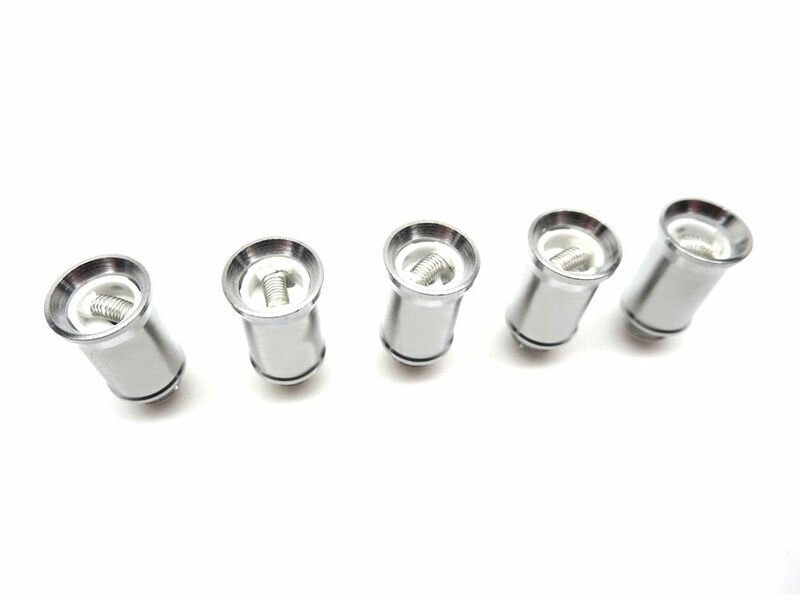 The HELOS-G eNail and eFunnel coils are interchangeable and can be swapped out with any compatible eDab cartridge however the Hybrid coil will only work with a HELOS-G base. This kit includes 2 spare atomizer coils, for a total of 3 in the box to keep you vaping like a pro for the forseeable future. The HELOS-G cartridge gets its power from the eDab "Spin", a sleek 510 threaded battery with variable voltage output settings. Changing the voltage is as easy as spinning the dial on the bottom of the battery and setting the output from 3.2V - 4.8V; completely customizing the vapor output to your preference. Featuring all of what you want and nothing you don't, the Spin has several safety features including accidental discharge, overcharge, and overheat protection to help maintain a long life. The rechargeable 650mAh battery can get up to 6 hours of continuous use and can quickly recharge in any standard USB port. Pressing the button 5 times will lock the battery for safe travel, while pressing the button 5 more times will unlock the battery for use; a great feature which allows you to store or carry your vaporizer pen in the travel case without worry of it accidentally turning on at the wrong time. If you happen to forget to lock your battery, overheat protection will stop the heating element from staying on for more than 10 seconds, so you don't waste your material or damage your coil. Laser etching on the bottom and the clean white LED button boast the authenticity and overall quality of this premium eDab pen battery, so you know you are vaping with the best. When you're all done vaping, everything fits neatly into the custom slimline eDab travel case. This lightweight travel case is designed to slip into your pocket or purse, while being roomy enough to take your HELOS-G pen and all of it's accessories with you anywhere. 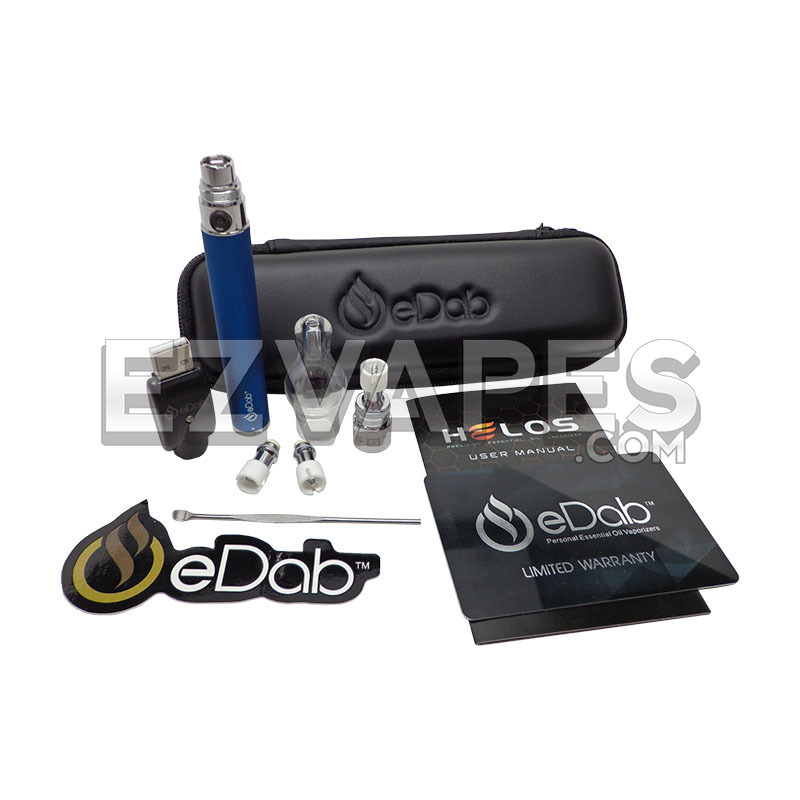 The all black color and embossed eDab logo on the lid add a sleek touch to the entire kit. Enjoy your essential oils, waxy material, and other concentrates with this premium vaping solution from eDab, the HELOS-G Case Kit. 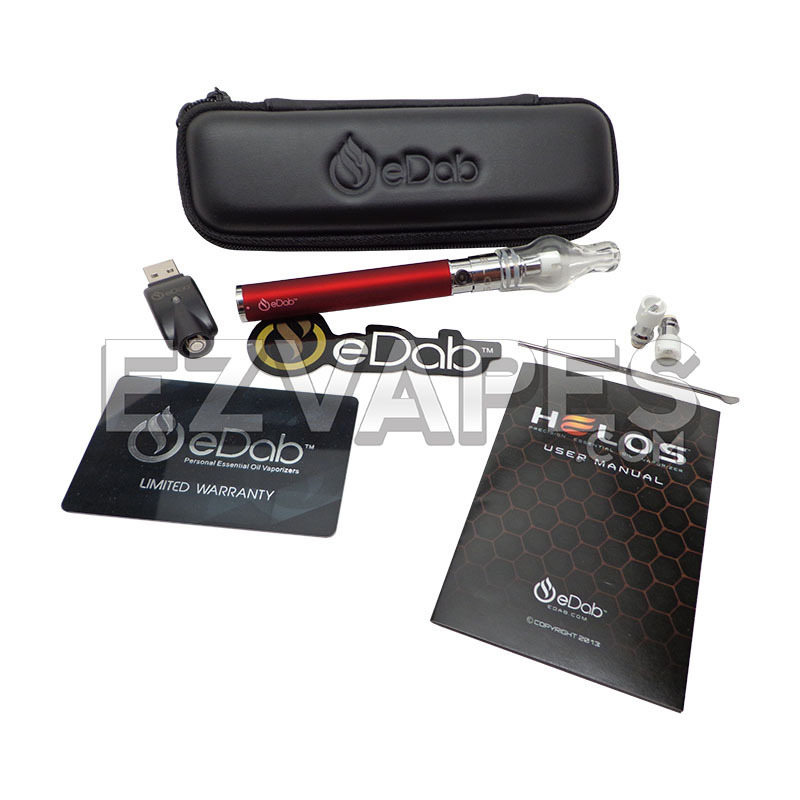 HELOS-G Case Kit Special Deal: Order today and receive an official eDab Premium Wall Adapter and a lanyard to match your new HELOS-G vaporizer for FREE! 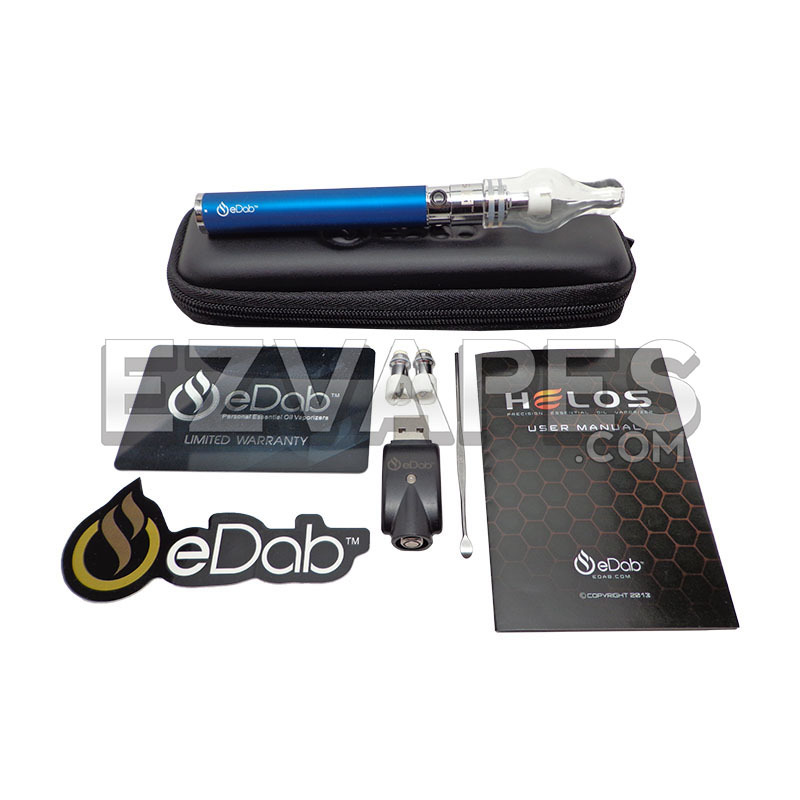 Please note the HELOS-G Case Kit is currently only available with the eNail coil option.